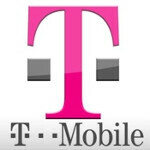 Now that it has started building out an LTE network all of its own, T-Mobile has started offering a version of the Samsung Galaxy S III with LTE connectivity. Unlike the T-Mobile branded Samsung GALAXY Note II, which was sold with an LTE radio that was turned on with a firmware update, the Samsung Galaxy S III was sold by T-Mobile without a way to update it to work with LTE signals. 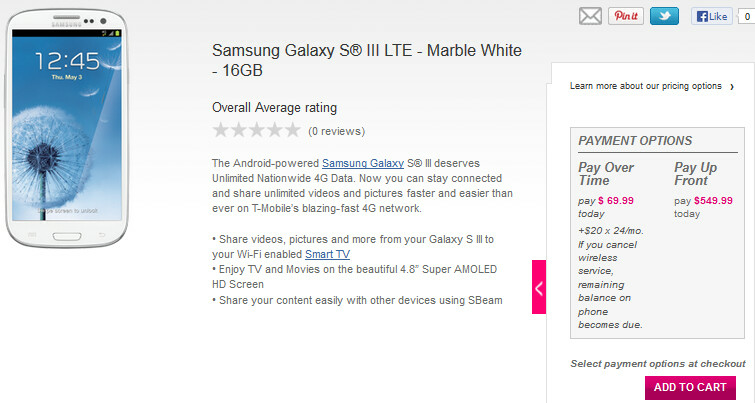 The Samsung Galaxy S III LTE is available from T-Mobile's web site and right now only the Marble White model can be purchased. The nation's fourth largest carrier is offering the phone for a down payment of $69.99. The rest of the money is due in 24 monthly installments of $20 for a total cost of $549.99. This is the 16GB version of the phone and it is unknown if other variants are going to be offered. For just $80 more, T-Mobile customers can buy the newer Samsung Galaxy S4. If you are not anywhere near T-Mobile's LTE coverage, you can still purchase the older model without LTE connectivity for the same $549.99 price. This model still has 4G data speed through the carrier's HSPA+ pipeline. Why would you buy the s3 when you can buy the s4 for a few dollars more? So, that they can spend $80 less? But in seriousness, I would go ahead and just get the S4. Why would I want to get an HSPA+ only version of a device when I can get a version that has LTE & HSPA+ for the same price? Even if I didn't have LTE in my city, which T-Mobile doesn't have and probably won't have, I would get the LTE version just in case I went to a city that did have LTE. I would also get it just to say that I've got an LTE device. True. There is no point to getting the version without LTE. The only advantage I see is the longer battery life of the non-LTE version. $549 upfront? Hey why is tmobile making people buy their phones full price? They are killing their customers..what happened to the standard 199 or 299 two year agreement? Am I the only person that thinks this is crazy?